Accessorize the smart way with Barbie’s fashion folder, full of glamorous fun on the run! In a cool carry-case format that goes wherever you do, this awesome pack will keep you busy for days. 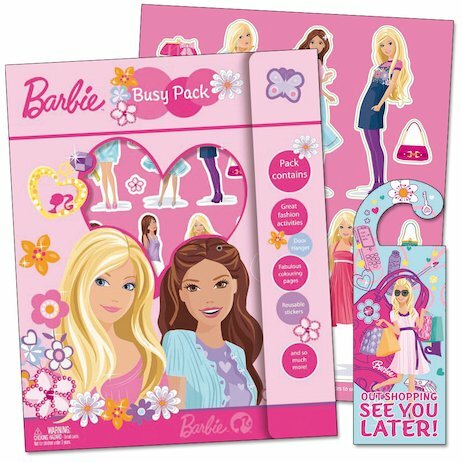 Complete stylish activity sheets, colour in pictures of Barbie, or join her on adventures and shopping expeditions. With a door hanger, stickers and heaps of stuff to do, it’s your chance to step into Barbie’s whirlwind life!